Church Office Hours are Monday - Thursday 8:30 a.m. to 4:30 p.m. Closed daily 12 p.m. to 1:00 p.m. for lunch. Friday Church is open until 12 noon. Church Office is closed. Hello friend! Welcome to St. Mark's! We're glad you're here! Now just relax and enjoy this time with God and the folks here at St. Mark's. If you have any questions, feel free to ask somebody wearing a "St. Mark's nametag"
8:15 AM: Casual style service held in our Chapel. 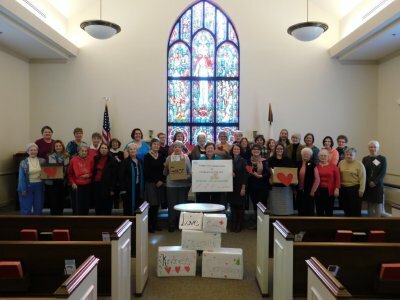 Organ, piano, soloists, and other musicians accentuate the Pastor's message. 9:30 AM: An informal family-friendly service with contemporary music in our Sanctuary. 11:00 AM: Traditional service: a not-too-formal service in our main sanctuary. 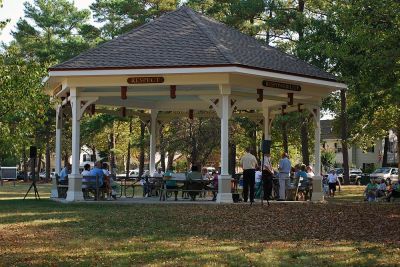 Note: During June, July, and August, the 9:30 service moves to 9:45 and the services are held in the Pavilion at Idlewild Park (in case of inclement weather, in the Chapel). Expect Biblically-based messages intended to help you grow deeper and wider in your faith and understanding of the love and life that Jesus Christ wants for all of us. You'll also be challenged to be the heart, hands and feet of Jesus Christ in our community and world. We LOVE your kids! Come on In! Our goal for children is to provide a great environment for their spiritual growth. 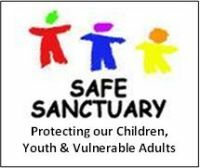 We adhere to the United Methodist Safe Sanctuaries policy of providing all children and youth with a safe and comfortable experience whenever they are doing anything related to St. Mark's. Our goal for YOU, as a parent or guardian, is that you feel totally comfortable with your children freely learning and growing in their faith; safe and secure. However you're comfortable. We have people come to worship wearing Suits & ties. We have people wearing t-shirts and sandals. We want to focus on God's message; not on what we're wearing. What if my child or family member has special needs or disabilities? We believe that our friends with disabilities and their families are, as God says, "...fearfully and wonderfully made"-Psalm 139:14; they are indispensable to the Body of Christ. To the best of our ability and resources, we welcome,affirm and assist each person affected by disabilities. We strive to make the church, and its ministries, available and accessible to all people. 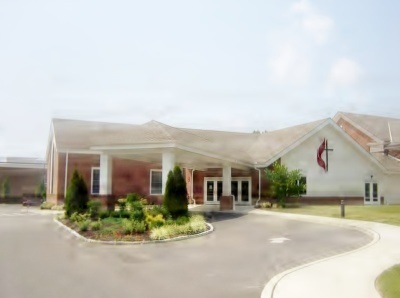 We provide handicapped parking spaces, wheel-chair friendly ramps throughout our property, wheelchair spaces in our chapel and sanctuary and an elevator to reach all three levels of the building. If you'd like assistance beyond that, just ask ! Do I need to put something in the offering plate? That's between you and God. Please NEVER Feel obligated to put money in the plate. Pray about it and whatever, and however God leads you to contribute, is just fine with us. We're just really glad you're here!